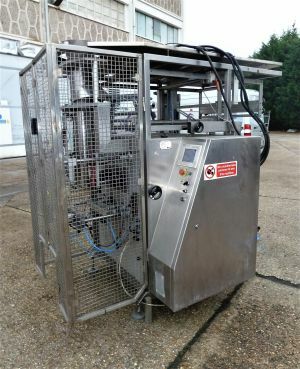 Food Machinery Online is one of the UK’s leading suppliers of used food packaging machinery and Multihead weighers. We also stock a range of second-hand industrial chip and flake Ice Machines. We actively update and replenish our site with our latest stock from quality brands such as Sandiacre, Newtec, Ishida, Yamato, Ilapak, Hayssen, HayssenSandiacre, Ice Systems, Geneglace, and Ziegra. Whether it’s food packaging machinery you require, a vertical form fill seal, Multihead weighers, a bagging machine or even an Industrial Ice machine. Food Machinery Online can source these for you. We are renowned UK specialists in the used food machinery and Industrial Ice machine industries meaning you can rest assured that you’re not only in safe hands, but, you are also getting the most competitive prices online for equipment that you just won’t find elsewhere for the same deals. Did you Know? As well as complete machines, we also carry an amount of spare parts for a vast range of equipment. Call us on 01472 267524 for any parts enquiries you may have. We are also in the market to purchase second hand spares and parts associated with Sandiacre, Newtec, Ishida, Yamato, Ilapak, Hayssen, HayssenSandiacre, Ice Systems, Geneglace, and Ziegra. So, if you are looking to sell spares and parts associated with the above, please don’t hesitate to contact us. Food Machinery Online are proud to offer worldwide delivery with all our products, so that wherever you are based it’s not a problem. To enquire online about a specific product with delivery simply find your required product and fill in the enquiry form. We will then get back to you with your quotation. And, if you need any further information then we’re always happy to help.